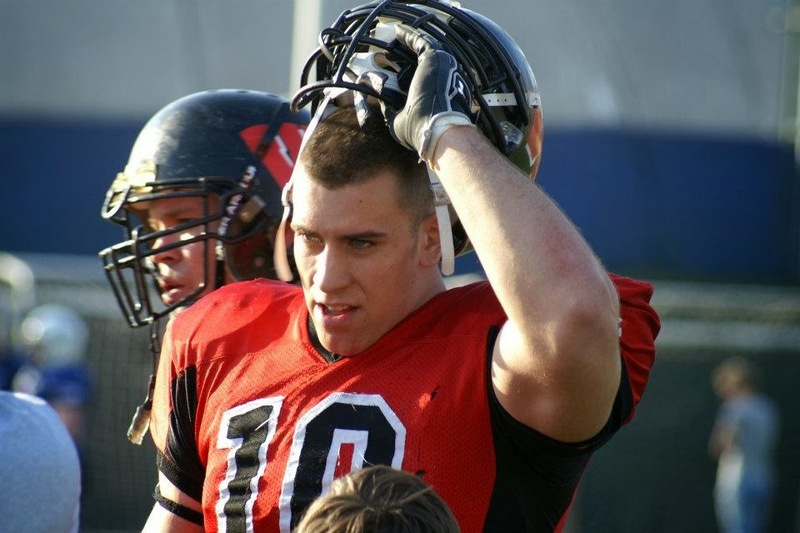 In 2013., I played in Finland for the Helsinki 69ers in the Maple league. The team was very nice with a lot of helpful and good people and Helsinki was crazy and beautiful at the same time during the summer. I signed my contract for 2014. I will play for the Carlstad Crusader in Sweden. They are a young and very motivated team and I'm looking forward to be a part of their organization and get as many Wins as we can! Check out Daniel's highlights on Hudl. Click HERE. 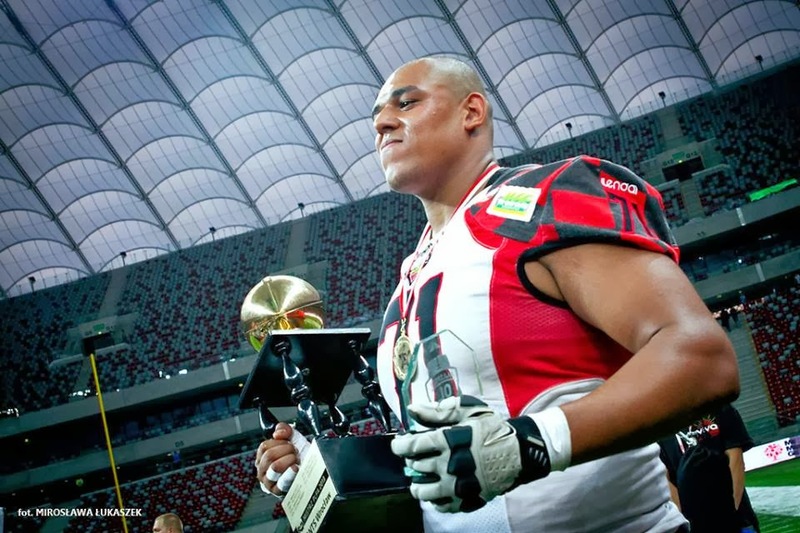 In 2013, I played with the Wroclaw Giants where we won the National Championship - where I was named the Best OL Of The Year. I am also the member of the Polish National Team, and played in the Euro-American Challenge in 2012 in Warsaw. Reason why I'm 'becoming an import' is because I want to get more knowledge about the game. I want to learn how to be the best OL in Europe. I will bring this knowledge back to Poland and use it to teach others. I'm going to play in Dresden and willing to use this opportunity, playing in Big6 will be a great experience. Being a part of one of The Best Teams in European Football is a great feeling and huge motivation. Hope I will not let anyone down and will represent my country best way I can. 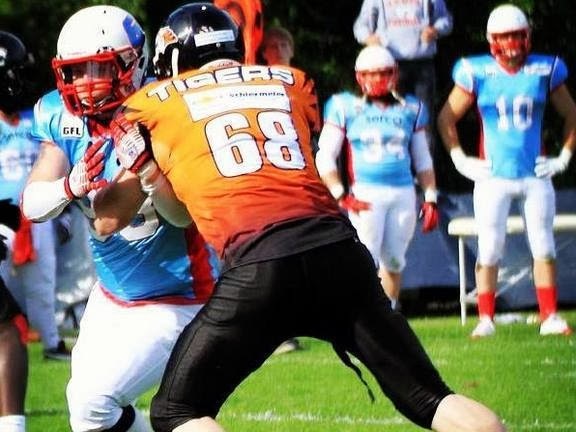 This is my second consecutive season with the Osnabruck Tigers. Besides the desire to experience football outside of Serbia, one of the goals is also to work and study. I have a great opportunity in Osnabruck, that is why I decided to return for the upcoming season. Team is not as big as the one in Belgrade, but is well organised, has potential, and real family atmosphere. Check out Branko's highlights on Hudl. Click HERE. Are you a "domestic player" who got signed to a team abroad? Share your story with us! Tell us what's your position, where have you played and why going abroad? Attach a photo with credits, and a link to your highlight. Shoot everything over to our Facebook profile [Click HERE] or, fan page [Click HERE].